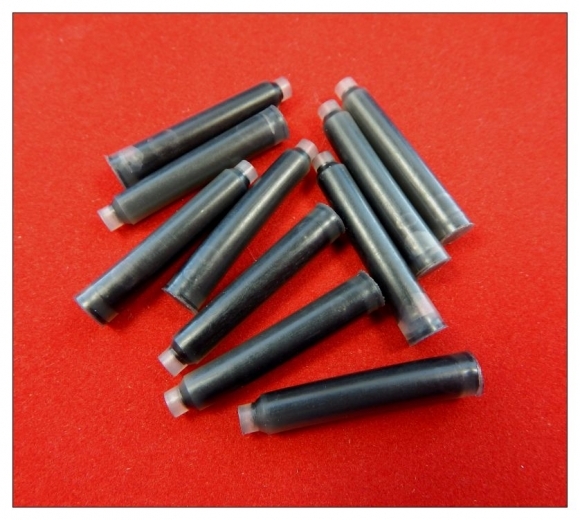 Standard ink cartridge available in Black or Blue Black color Ink cartridge for fountain pen. Classic fountain pen - Classic elite fountain pen - Large Jr Gentleman fountain pen - Upgraded Jr. Gentleman I fountain pen - Churchill fountain pen - Magnetic Graduate fountain pen etc.